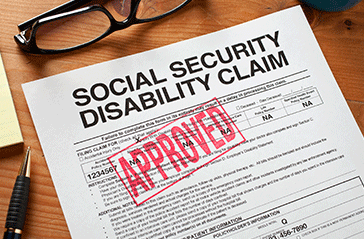 How to Qualify for Social Security Disability Benefits with Myasthenia Gravis? If you struggle with myasthenia gravis (MG), chances are you can get disability benefits if you apply for them with the Social Security Administration (SSA). There is a listing with the SSA specifically for MG, which means that if your condition meets the listing you are approved for benefits automatically. And even if your condition does not meet the listing exactly, if your MG makes it where you cannot work you should still be able to get benefits if your application meets the standards required by the SSA. MG is considered an autoimmune disease that affects the neuromuscular system. The disease causes muscle weakness after muscles are used for a while. With rest, the muscles will recuperate and become usable again. The most significant problem with MG is that it can affect muscles related to breathing, leading to dangerous situations where the individual must be taken to the hospital for breathing assistance. The severity of MG can vary from person to person. Some people with MG are able to control it with the right medication. Others are not as responsive to medication and may have much more severe symptoms. How do You Get Disability Benefits with MG? There are two paths to getting benefits when you have MG. Both of these paths require that your MG has progressed to the state where it makes it difficult or impossible to work. The first path requires that you meet the disability listing of the SSA for MG. If you meet the criteria of the listing, you get benefits automatically. The second path involves proving that your condition makes it difficult or impossible to work. The best way to successfully seek Social Security disorder benefits is to work with a disability attorney that can help you prepare your application—and guide you through the appeals process if necessary.